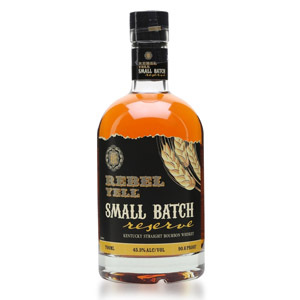 Update: Heaven Hill has discontinued the Elijah Craig 12 year (announcement was in early 2016), and replaced it with a no-age-statement Elijah Craig Small Batch. 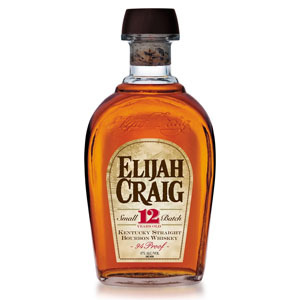 Elijah Craig 12 is a small-batch bourbon made by prolific distiller Heaven Hill in Bardstown, Kentucky, and is named after Reverend Elijah Craig who is apocryphally credited with the invention of oak aging of corn whisky to create bourbon. Heaven Hill is also responsible for, among others, brands Evan Williams, Henry McKenna, Larceny, Old Fitzgerald, Rittenhouse Rye, Bernheim Original 7 year, (pause for breath), Parker’s Heritage, Rebel Yell, and so on. Several of those bourbons, including Evan Williams and Henry McKenna, share the same mash bill with Elijah Craig: 75% corn, 13% rye, and 12% barley (the barley is there to provide enzymes to “kick-start” the fermentation). 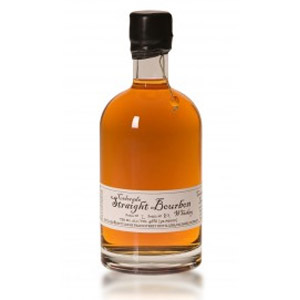 One might call this a “low-rye” bourbon. Heaven Hill also produces hard-to-find variants: A cask-strength version of Elijah Craig 12 year (it still has the age statement!) and 18-, 20-, 21-, and 23-year bottlings. Nose: Sumptuous caramel, cinnamon-sugar apples, heavy oak, maraschino cherries (the bright red kind), serious brown sugar and molasses. Palate: Thin body, only slightly hot considering the high ABV. Big, tannin-y oak up front, and not particularly sweet. Finish: On the short side. Hazelnuts. Furniture lacquer. Cinnamon and a hint of star anise. With Water: A few drops of water bring vanilla and more sweetness to the nose. The palate becomes a bit more balanced, and the water causes some of the brown-sugar notes to carry on through to the finish. When drinking this neat, the water may be a good idea. Overall: Elijah Craig starts off promising on the nose, with lots of sugar, oak, and great depth. However, it fails to deliver on that promise when it hits the palate, where it’s thin and oaky and simple. The higher-than-normal ABV gives it an edge in cocktails, where its flavors can come across, but I wouldn’t choose this for my house bourbon. That said, if a bottle landed in my lap I would make good use of it in a whole mess of Old Fashioneds. Elijah Craig 12 is effectively the same price as the current leader in my “house bourbon” hunt: Eagle Rare 10, while the Craig has 2 years and 2% ABV on Eagle Rare, it doesn’t keep up in terms of flavor. That said, put two Old Fashioneds in front of me, made from each bourbon, and I very much doubt I could tell the difference. Great post! I think I like EC 12 a bit more than you did, but I’ll admit that I’m also a bit biased for sentimental reasons – it was one of my go-to bourbons in grad school, where I couldn’t beat the price-quality ratio on my poor student’s budget. I’m fairly new to the bourbon game and I must say on ice this stuff is just way to sweet. I’ll stick to Buffalo trace or knob creek. P.s can you do a review on George dickle Tennessee whisky. For a bottom shelf drink I absolutely loved it and would love to hear your take. This stuff is okay. I actually own a bottle but I won’t be buying another one. 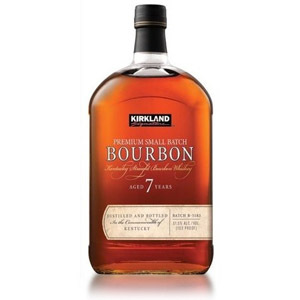 Not as smooth as other bourbons I have tried. 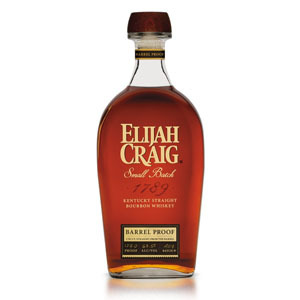 I really like EC12, but you really need to try Elijah Craig Barrel Proof!